ISS space food on a tray. 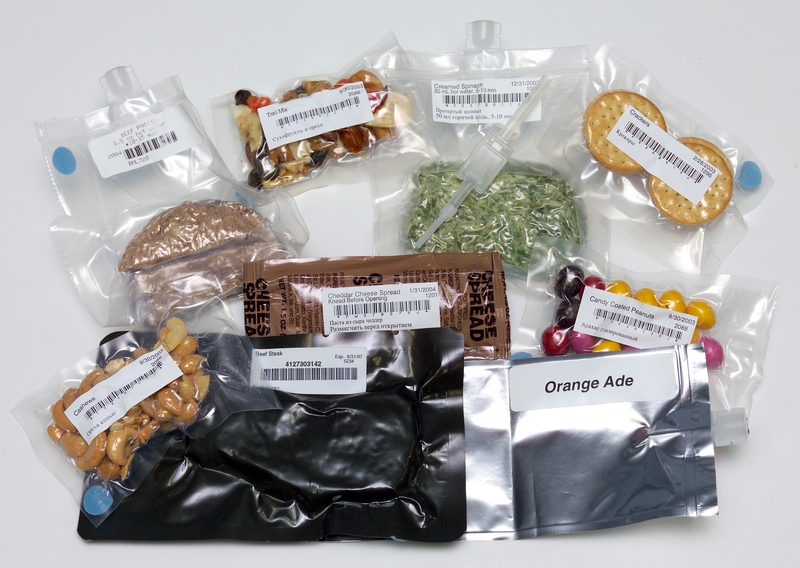 Assorted bags of snack food and dehydrated food, as served on the ISS. 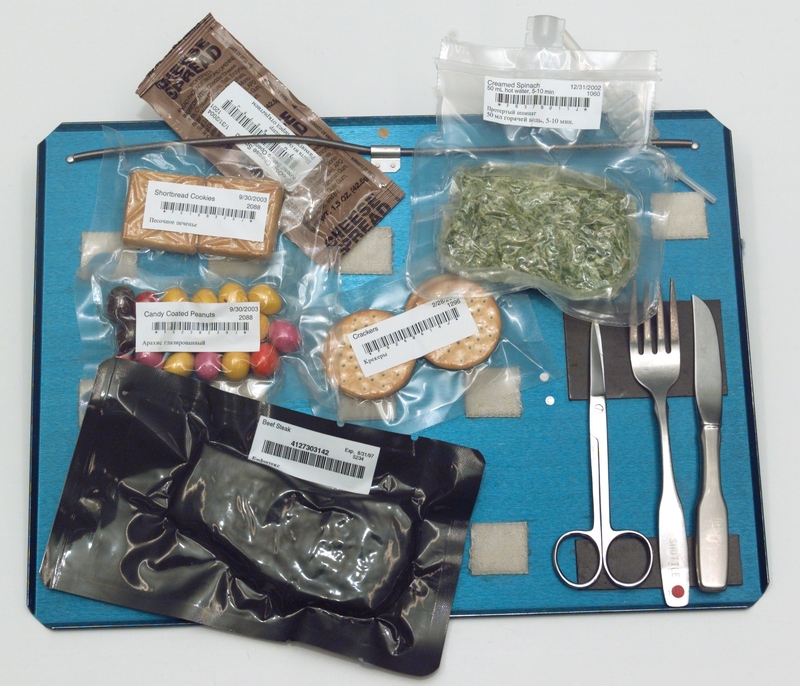 Image taken in the Food Tasting lab in building 17: Bags of International Space Station food and utensils on tray.